Earlier, the Pakistani ambassador to Russia told Sputnik that Chief of Air Staff of the Pakistan Air Force Sohail Aman had “fruitful talks” in Moscow in July on purchasing of Russian Su-35 (NATO reporting name: Flanker-E) fighter jets. “This [information] has emerged at the instigation of the Pakistanis and is not true. I suppose that the FSMTC [Russian Federal Service for Military-Technical Cooperation] and [Russian state arms exporter] Rosoboronexport have already responded, there are no such negotiations,” Zamir Kabulov told RIA Novosti. 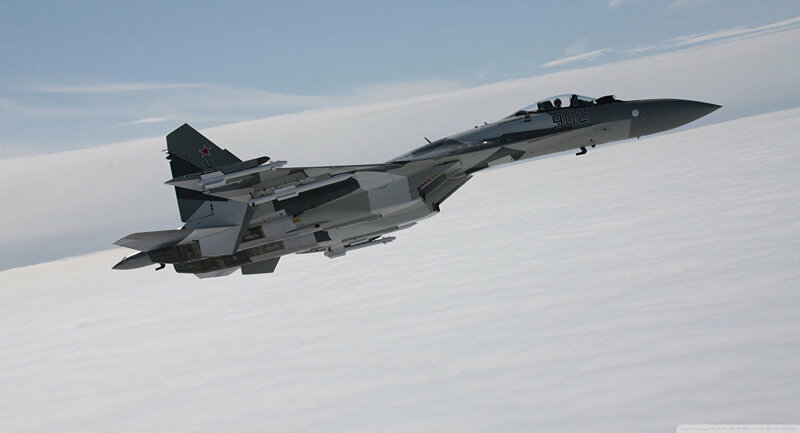 The Su-35 is Russia’s top air-superiority fighter, until the fifth-generation PAK-FA stealth fighter comes into production, with a clear maneuverability edge over existing fighter jets and a limited radar cross section after adjustments were made to the engine inlets and canopy as well as a series of modifications including the use of “radar-absorbent material” that gives the flanker a stealth-like profile. Russia and Pakistan are slated to hold their first ever joint military drill in the coming months, according to local media reports. Around 200 military personnel from Russia and Pakistan will participate in the exercise, a senior Pakistani defense official told The Express Tribune. Both sides have revealed little else about the drill, dubbed Friendship 2016, except that it will take place in mountainous areas. Neither the exact time of the exercise nor its precise location are known. 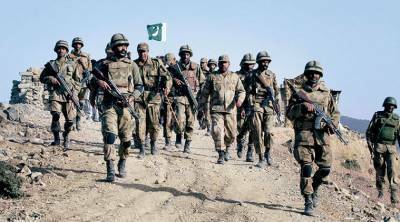 The fact that the exercise takes place in mountainous terrain could be an indication that Russia is interested in learning from Pakistan’s military counterinsurgency (COIN) operations. Given the latter’s extensive experience in battling insurgents and Russia’s growing role in the Syrian Civil War, this could very possibly be the case. Russia could also use the exercise to showcase some of its military hardware useful for Pakistani COIN operations, including combat aircraft and infantry weapons. The military exercise is a clear signal that Moscow and Islamabad are interested in deepening military-to-military relations. “This obviously indicates a desire on both sides to broaden defense and military-technical cooperation,” Pakistan’s ambassador to Russia, Qazi Khalilullah, told a Russian news agency. Russia’s TASS news agency first announced the joint drill in January of this year. “As part of interaction with our foreign colleagues in 2016, we have scheduled seven joint exercises with the involvement of the relevant units of foreign states. The Army will hold the Russian-Vietnamese exercise and the first ever Russian-Pakistani special drills in mountainous terrain,” the Russian Army commander-in-chief, General Oleg Salyukov, said at the time. The chief of the General Staff of the Russian Armed Forces, General Valery Gerasimov, met his Pakistani counterpart, General Rashad Mahmood, in late August to discuss deepening military cooperation between the two countries. “The development of constructive relations between Russia and Pakistan is an important factor in ensuring regional stability and international security,” Gerasimov told reporters. Gerasimov also emphasized that Russia and Pakistan are planning an “intensive program” of joint activities in the months ahead including more military exercises, military exchanges, and talks at the general staff level. The major reason for Russia’s interest in deepening relations with Pakistan will remain selling more Russian-made military hardware (e.g., the Sukhoi Su-35S multirole fighter jet) to Pakistan’s military. Russia only lifted a longstanding arms embargo against Pakistan in 2014. In August 2015, Russia and Pakistan concluded an agreement over the purchase of four Mi-35M attack helicopters. The Mi-35M is the export version of the Mi-24 gunship, and is particularly suited for mountainous terrain and can be deployed in adverse weather conditions. The Russian helicopter is slated to replace Pakistan’s fleet of obsolete U.S. made AH-1 Cobra attack helicopters, primarily deployed in counterinsurgency operations in the country. Maj. Gen. Naveed Ahmed, the director general of defense procurement for Pakistan, stated that cooperation between Russia and Pakistan in counterterrorism is very high. KUBINKA (Moscow region) – The issue of counterterrorism cooperation is very high on the agenda of Russia and Pakistan, including numerous high-level exchanges on the issue, Maj. Gen. Naveed Ahmed, the director general of defense procurement for the country, told Sputnik on Tuesday. “Our cooperation in counterterrorism is very high on our agenda. There were very high level exchanges between two countries last year,” Ahmed, who is leading the Pakistani delegation to the Army-2016 military expo, said. Last month, Russia’s Southern Military District (SMD) said that the first Friendship-2016 Russian-Pakistani joint military exercise would kick off in Pakistan in September. The drills will take place between September 23 and October 10 at the Army High Altitude School in northern Pakistan’s Rattu and at a special forces training center in Cherat. “Very soon you will find that two special services would be interacting and would be caring out military exercises,” Ahmed added. The military forum, which is taking place on September 6-11 in Kubinka, a western suburb of Moscow, brings together representatives from the Russian defense industry, research institutes, universities, as well as foreign companies. Over 800 Russian and foreign participants will mount some 7,000 exhibitions throughout the week. The forum’s participants and guests will attend a number of conferences and round-table discussions to discuss the future development of military technology. Pakistan Air Force Chief of Staff had fruitful talks in Moscow in July on purchasing of Russian Su-35 fighter jets. Chief of Air Staff of the Pakistan Air Force Sohail Aman had “fruitful talks” in Moscow in July on purchasing of Russian Su-35 (NATO reporting name: Flanker-E) fighter jets, Pakistani Ambassador to Russia Qazi Khalilullah told Sputnik. “Chief of Air Staff Marshal Sohail Aman had fruitful talks with the Russian partners on this issue in July,” Khalilullah said answering a question on whether Islamabad could purchase the Su-35 aircraft. The Chief of the General Staff of the Russian Armed Forces met his Pakistani colleague, the Chairman of the Joint Chiefs of Staff Committee of Pakistan General Rashad Mahmood in Moscow. According to the Russian Chief of the General Staff, in recent years, meetings of defence ministers of Russia and Pakistan have boosted the relationships between the Armed Forces of both countries. He noted that in 2016, the programme of joint military cooperation activities of Russia and Pakistan was very rich and included “negotiations of General Staffs, joint exercises, exchange of military delegations”. “The sphere of preparation of military professionals has also good prospects,” added Valery Gerasimov. In his turn, Rashad Mahmood said that the relationships of the military departments of Russia and Pakistan at the strategic level have made a significant step forward. According to him, the visit of the Russian Defence Minister General of the Army Sergei Shoigu in Pakistan, which took place on November 2014, became a breakthrough in the relationships between the military departments of both countries and their Armed Forces”. “In the course of the last several years, all our Commanders-in-Chief and Commanders of arms of service have visited your country several times. Now we hope that you will also visit Pakistan,” added Rashad Mahmood. It is to be reminded that this year servicemen of the Southern MD will for the first time take part in the joint Russian-Pakistani tactical exercise “Friendship – 2016”, which is to take place on the territory of Pakistan. It will be participated by about 200 servicemen from both countries. 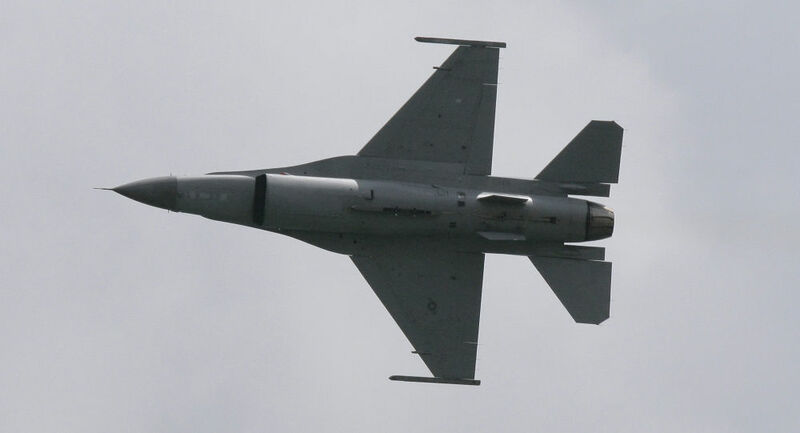 Islamabad is surprised and disappointed over Indian reaction to the US decision to sell F-16 fighter aircraft to Pakistan, the country’s foreign ministry said in a statement Sunday. MOSCOW (Sputnik) — On Saturday, Indian Foreign Secretary Subrahmanyam Jaishankar summoned US Ambassador Richard Verma to express dissatisfaction after Washington announced the US Department of State had approved the sale of eight F-16 combat aircraft and other equipment to Pakistan. “We are surprised and disappointed at the Indian Government’s reaction. Their army and arsenal stock is much larger and they are the largest importer of defence equipment. As regards F-16 sale, Pakistan and the United States closely cooperate in countering terrorism. US spokesperson clearly announced that the sale is to enhance precision strike capability,” the ministry’s spokesman, Mohammed Nafees Zakaria, said. Indian External Affairs Ministry spokesman Vikas Swarup said on Saturday, India was disappointed at the US President Barack Obama Administration’s decision on the fighters sale, stressing that New Delhi disagreed with the US rationale that the arms transfer would help to combat terrorism. By successfully modifying the Su-30MKI to carry the supersonic BrahMos missile, India has signalled its intent to strike with devastating force early on in a conflict. India has signalled its intent to strike enemy targets with devastating force early on in a conflict. In September 2010 India’s newly constituted tri-services Strategic Forces Command (SFC) submitted a proposal to the Defence Ministry for setting up two dedicated squadrons of aircraft comprising 40 Su-30MKI air dominance fighters. The task of this “mini air force” is to deliver nuclear weapons. The picture became clearer in October 2012 when the Cabinet Committee on Security green lighted a programme to carry out structural and software modifications on 42 Su-30MKIs and acquire 216 air-launched BrahMos missiles. Until then, the BrahMos – the product of an India-Russia joint venture – was for exclusive use by the Navy. In March 2015 the SFC received the first of these 42 Sukhois equipped with the air launched version of the supersonic BrahMos. This is the first time that the SFC, which at present depends on the Indian Air Force (IAF) for delivering nuclear weapons under its command, is acquiring its own aerial assets. Currently, India’s nuclear delivery system is based on land-based ballistic missiles such as the Agni and Prithvi plus the IAF’s nuclear-capable Mirage 2000, Su-30 MKI and Jaguar fighter-bombers. The final element of the nuclear triad, submarine-launched missiles, is still being tested. Individually, the Su-30 and BrahMos are powerful weapons. But when the world’s most capable fourth generation fighter is armed with a uniquely destructive cruise missile, together they are a dramatic force multiplier. The BrahMos’ 3 km per second speed – literally faster than a bullet – means it hits the target with a huge amount of kinetic energy. In tests, the BrahMos has often cut warships in half and reduced ground targets to smithereens. The Sukhoi’s blistering speed will add extra launch momentum to the missile, plus the aircraft’s ability to penetrate hardened air defences means there is a greater chance for the pilot to deliver the missile on to its designated targets. Considering that India’s primary enemy is Pakistan and that country’s chief backer is China, against which India has fought two conflicts – losing in 1962 and winning in 1967 – these two countries are the obvious targets. Against Pakistan, the targets are obvious. A two-squadron attack using most of the SFC’s air assets can within minutes utterly cripple the country’s command and control centres; nuclear power plants, including the Kahuta ‘Death Star’ where the majority of the “Islamic” bombs are manufactured; the Sargodha Central Ammunition Depot west of Lahore where these warheads are stored; ballistic missile bases in Gujranwala, Okara, Multan, Jhang and Dera Nawab Shah; Pakistani Army Corp headquarters in Rawalpindi; the Karachi Port, Pakistani’s only major harbour and its Naval HQ; and ordinance factories that manufacture tanks and fighter aircraft. The supersonic BrahMos armed with a conventional warhead can theoretically penetrate hardened command, control and communication centres. However, there is no guarantee these targets will be 100 per cent destroyed unless the BrahMos is nuclear tipped. A pre-emptive nuclear strike will therefore ensure that Pakistan’s offensive capability is effectively neutralised and it is never again a threat to India. Against China, the Sukhoi-BrahMos one-two punch seems counter-intuitive as Chinese targets are located deep inland or on the coast. However, the Su-30MKI has a maximum range of 3000 km (extendable to 8000 km with in-flight refuelling). Now add the BrahMos’s 300 km reach and India can hit targets 3300 km inside China. The Su-30MKI is an obvious choice. The SFC does not want untested fighters but the ones which can be relied upon to deliver nuclear-tipped missiles. The aircraft has a titanium airframe strong enough to fly a high-speed terrain following profile. The batch of 42 Sukhois will also have hardened electronic circuitry to shield them from the electromagnetic pulse of a nuclear blast. Having a dedicated aircraft for the nuclear attack role offers India’s war planners strategic flexibility and increases the odds of success. Because ballistic missiles are used only as a weapon of last resort, they cannot really be deployed at will. Once released, they cannot be recalled and if shot down are not easily replaced. Fighter aircraft, on the other hand, can perform repeated sorties and be directed to bomb targets as they move. For instance, if Pakistan moves it warheads out of Sargodha depot, which is presumably under constant watch by Indian satellites, the Sukhois can be vectored against a column of Pakistani trucks transporting their nuclear cargo. The SFC’s mini air force of 42 Sukhois can also launch their missiles against Pakistani targets from within Indian airspace or while flying over international waters, thereby complicating the enemy’s defences. It is a lot easier for India to destroy Pakistani war fighting capability because not only is Pakistan relatively smaller but it has also concentrated its defences in one province, Punjab. Because heavy modifications were necessary for integrating such a heavy missile onto the Su-30MKI, initially it seemed to make little sense to deploy a single missile. 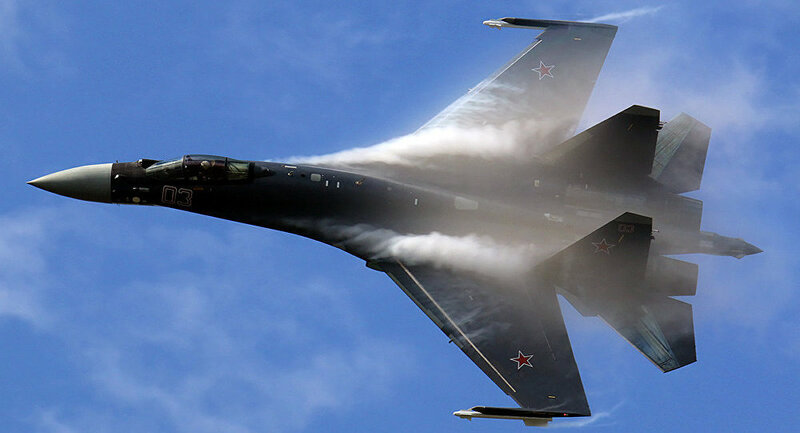 Aviation Week reports that initially even Sukhoi was reluctant to go along. That prompted HAL to go solo, but Aviation Week says Sukhoi came on board in 2011. The Russian side provided HAL with technical consultancy especially for the modifications to the fuselage in order to accommodate the 9-metre-long missile. “Work is also underway on a modified lighter and smaller-diameter version of the BrahMos for deployment on the Indian navy’s MiG-29K and, potentially, the Dassault Rafale,” says Aviation Week. And signalling the country’s immunity from western sanctions, DRDO scientists say the 300 km cap on the missile’s range will be removed. The next generation BrahMos is likely to be a longer range weapon. And with the planned increased in speed, the missile will have considerably enhanced kinetic energy despite its smaller size optimised for relatively smaller aircraft such as the MiG-29. That’s really bad news if you are in the Sukhoi-BrahMos crosshairs.